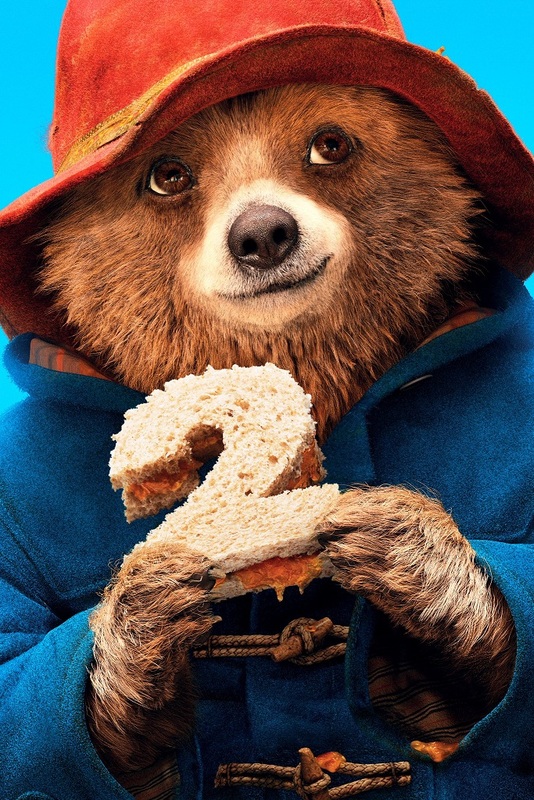 Two British movie trailers for you today, first a delightful one for PADDINGTON 2 a sequel to the 2014 hit movie which now boasts an exquisitely strong thespian cast with Hugh Bonneville, Hugh Grant, Imelda Staunton, Julie Walters, Brendan Gleeson, Sally Hawkins, Jim Broadbent and Ben Whishaw! It is out November in Europe, January 2018 in USA. 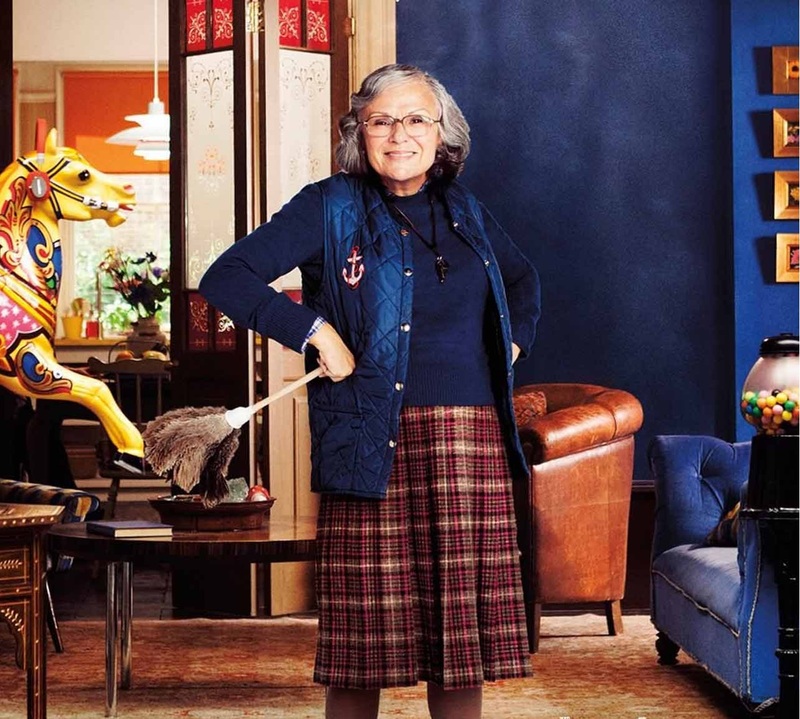 perfect present for his beloved Aunt Lucy's 100th birthday, Paddington spots a unique pop-up book in Mr. Gruber's antique shop, and embarks upon a series of odd jobs to buy it. But when the book is stolen, it's up to Paddington and the Browns to unmask the thief. 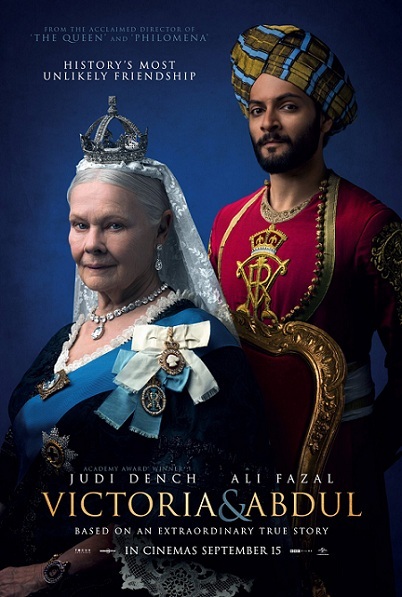 There is also a rather nice first trailer for September historical drama VICTORIA AND ABDUL in which Judi Dench plays one of English queens for the fourth or fifth time, methinks. 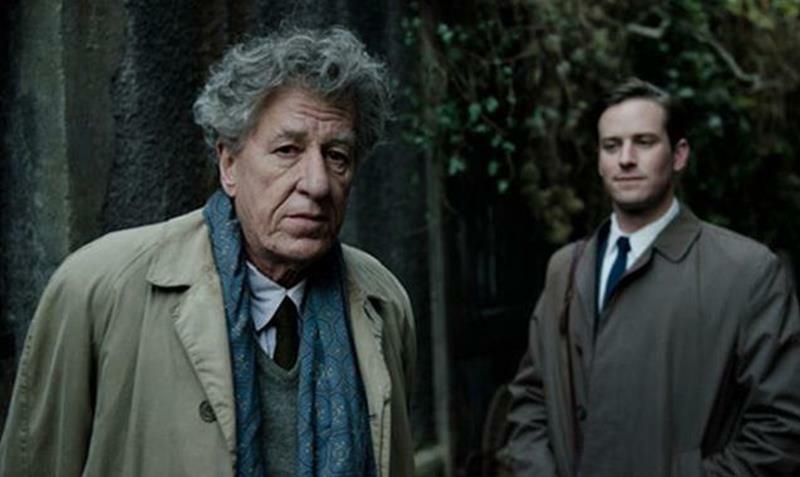 Directed by Stephen Frears (The Queen, Philomena) it also stars Olivia Williams and Michael Gambon. Queen herself. As the Queen questions the constrictions of her long-held position, the two forge an unlikely and devoted alliance with a loyalty to one another that her household and inner circle all attempt to destroy. As the friendship deepens, the Queen begins to see a changing world through new eyes and joyfully reclaims her humanity. 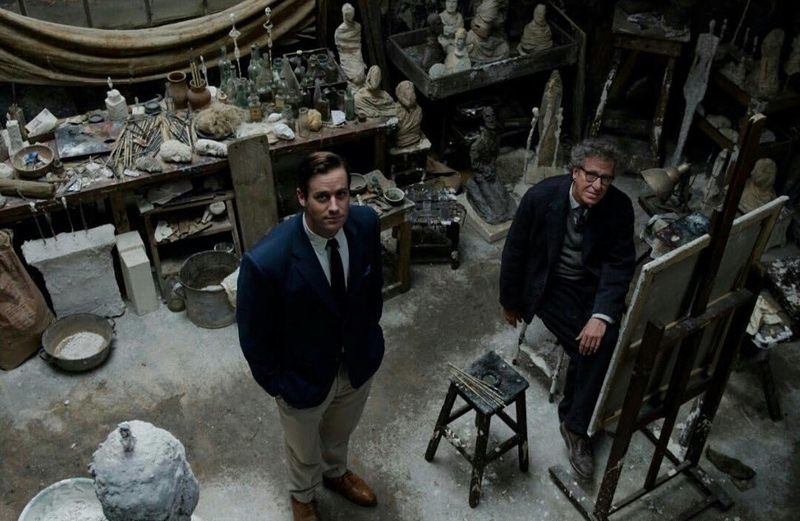 First photos from some of the upcoming period set movies this Monday, starting with Stanley Tucci's FINAL PORTRAIT, a drama which he wrote and also directed, out in cinemas this August in UK and Germany. Geoffrey Rush plays Swiss painter and sculptor Alberto Giacometti who, back in Paris, 1964, bumps into his old friend, the American critic, James Lord (Armie Hammer), and begs that he sits for a portrait because he has an interesting face. It'll just take a couple of days in his studio. Lord is flattered by the request and as the days go by and turn into weeks and weeks seemingly with no end in sight he realises his entire life has been hijacked by this erratic genius. The portrait continues to ebb and flow. Veering between frustration and joy, Lord ultimately sees logic in the artist's chaotic mind and together we witness a genius complete one of his last masterpieces. 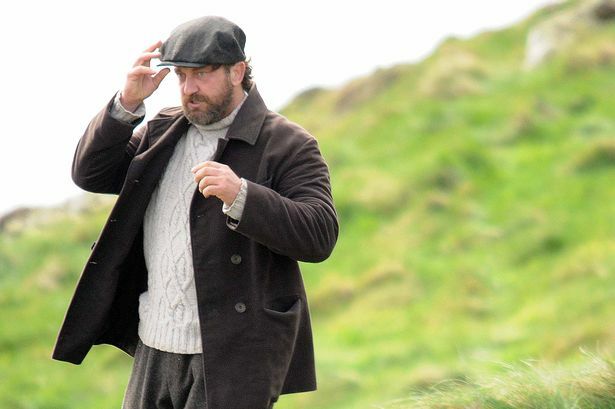 First photos have also been released for Gerard Butler's thriller KEEPERS inspired by the Flannan Isle mystery. A small relief boat approaches the Isle, a tiny isolated island 20 miles off a rugged coast. Its aim is to routinely replace the three lighthouse keepers, after 6 weeks alone manning the light. It nears the dock and none of the men greet them. The winch is broken. A call. Nothing. Experienced keepers Thomas, James and Donald have vanished. The lamps are clean and refilled; the table is laid for dinner. There is an upturned chair. Two sets of yellow oilskins are missing. The men were never found. 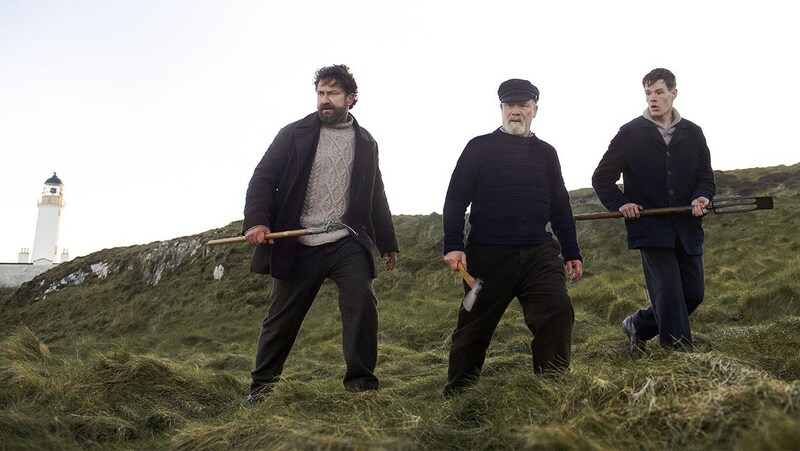 Peter Mullan also stars. 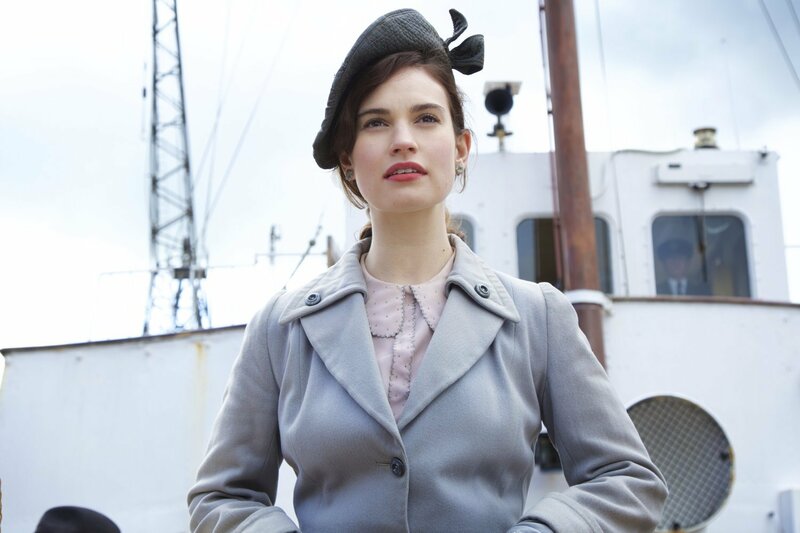 Two photos with Michiel Huisman and Lily James from the big screen adaptation of GUERNSEY are also here. Directed by Mike Newell it is the film version of Annie Barrows' Guernsey Potato Peel Pie and Literary Society that also stars Jessica Brown Findlay, Penelope Wilton, Glen Powell and Matthew Goode. 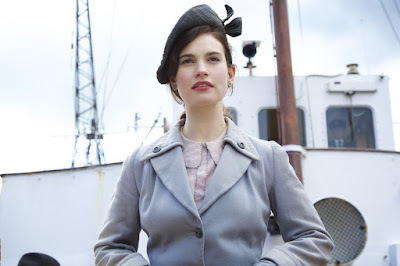 Lily James plays a writer who forms an unexpected bond with the residents of Guernsey Island in the aftermath of World War II when she decides to write a book about their experiences during the war. If you thought The Viceroy's House will be the only period set movie we will watch this year with the story going on in India, you were wrong: here's another one! 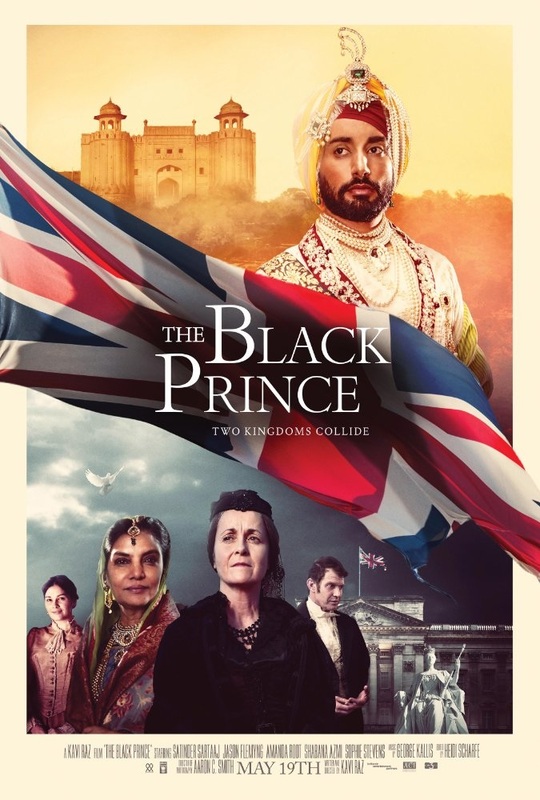 Ready to open up in cinemas in USA, Canada, Australia, India and UK July 21st is THE BLACK PRINCE, a movie based on the true story of the last King of Punjab, one of the most powerful and prosperous Kingdoms of the 19th century before it was ruthlessly annexed by Britain! 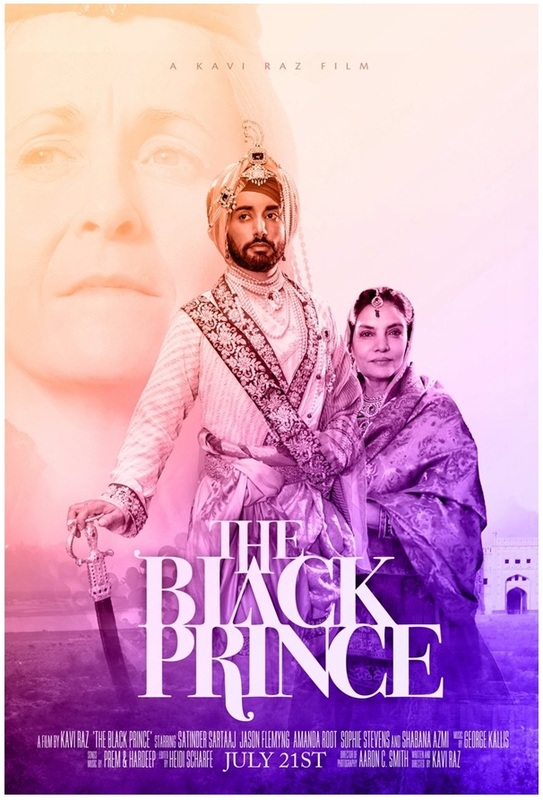 THE BLACK PRINCE is a story of Queen Victoria (Amanda Root) and the Last King of Punjab, Maharajah Duleep Singh (Satinder Sartaaj). His character as it evolves, torn between two cultures and facing constant dilemmas as a result. 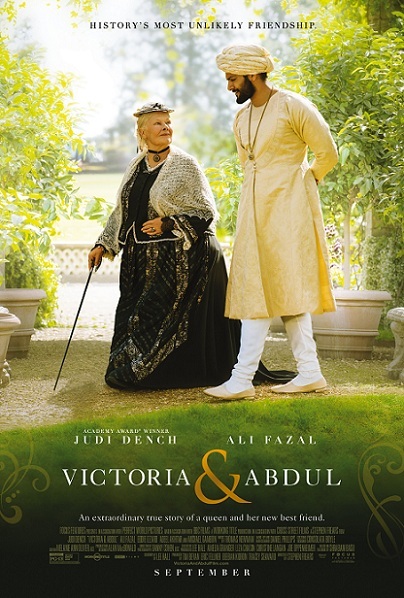 His relationship with Queen Victoria will be the most impactful relationship in the film, the Queen representing the English culture he was drawn into. 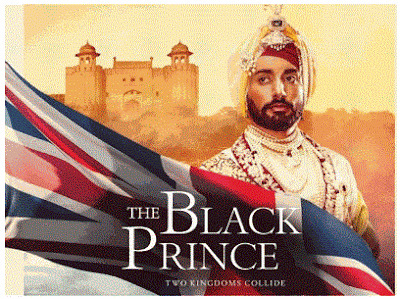 The Black Prince begins a lifelong struggle to regain his Kingdom. It takes him on an extraordinary journey across the world. Produced by Brillstein Entertainment (12 Years A Slave), THE BLACK PRINCE, was written and directed by Kavi Raz carefully capturing the tragic, yet fascinating true story and legacy of Maharajah Duleep Singh, providing a visual narrative of one of India’s most noble kings, and his fragile relationship with, Queen Victoria, who was Godmother to his children. Jason Flemyng also stars as Dr. Login, his foster parent! 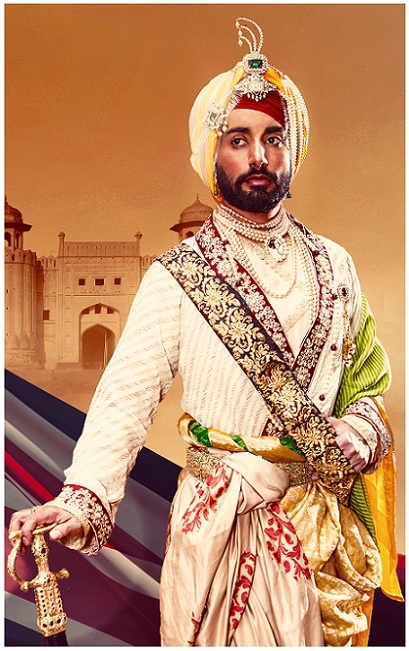 The King, Maharajah Duleep Singh, was placed on the throne at the age of five only to be robbed of his throne by a bloody treason at the hands of trusted courtiers. He was then torn from his mother and taken to England by the British at age fifteen. While in England, he was introduced to Queen Victoria, who took an immediate liking to him, calling him THE BLACK PRINCE. He was indoctrinated into Christianity and baptised, changing his life forever! Maharajah Duleep Singh died in 1893 at the age of 55 years, a lonely pauper in a hotel in Paris! 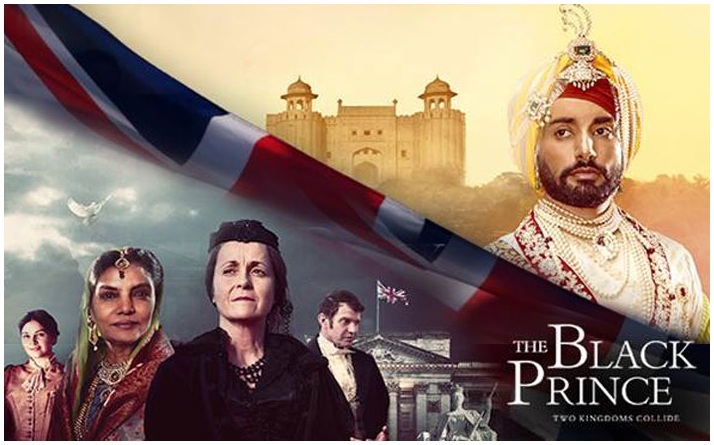 The movie will also mention the historically significant and priceless Kohinoor diamond, which was purportedly gifted by a young 13 year old Maharajah to Queen Victoria in a ceremony held in 1850, at Buckingham Palace, London. His life story filled with faith later on inspired India's fight for independence! 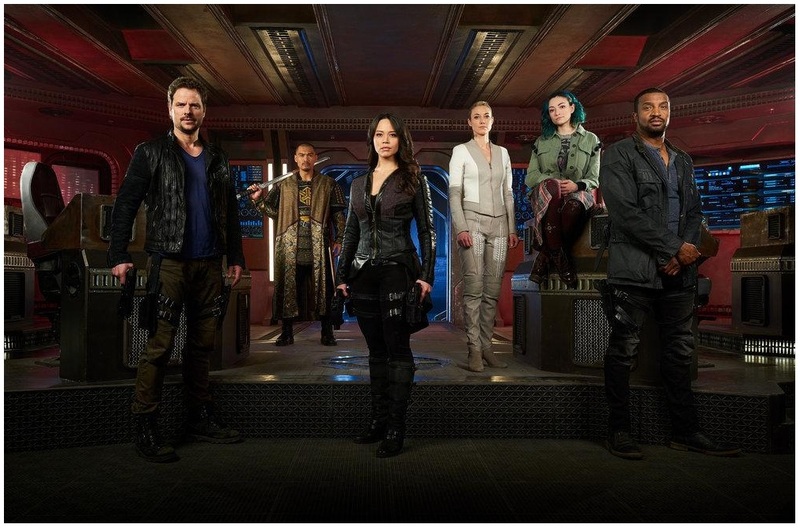 PREMIUM SPOTLIGHT ON 'DARK MATTER' SF SERIES THIRD SEASON WITH CAST PHOTOS AND TRAILER! 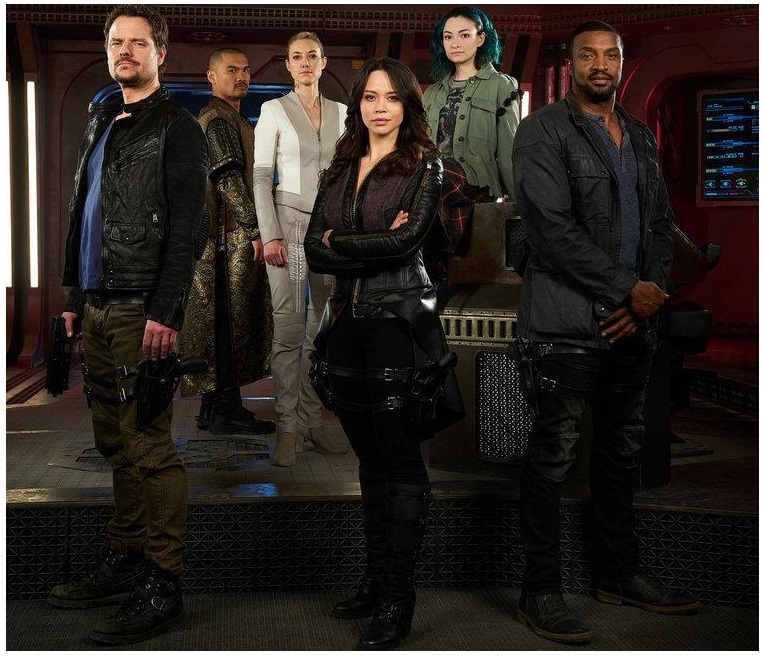 THE SPACESHIP CREW RETURNS THIS JUNE! 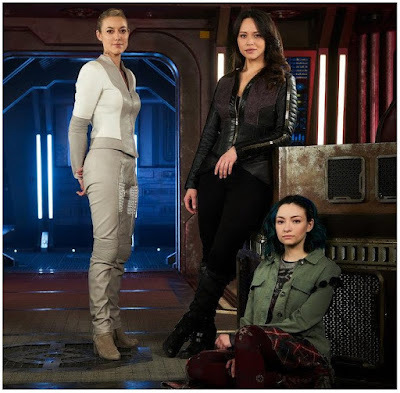 It is a very slow weekend, people, and the only thing I have for you today are the first cast photos and a trailer for the third season of SyFy's popular science fiction adventure action television series DARK MATTER which starts its third run this summer with thirteen new episodes beginning Friday June 9th! 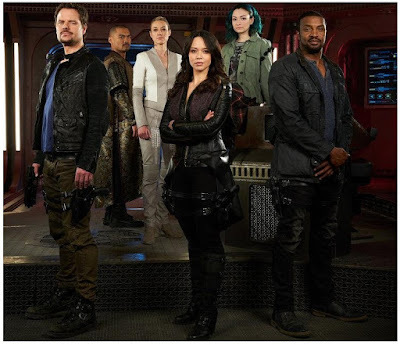 Based on the graphic novel of the same the series has been a hit with the audience from the first season bringing back the feel of a team spirit among the space ship crew members seen before in cult Firefly series. THE ALL OUT WAR IS ON! 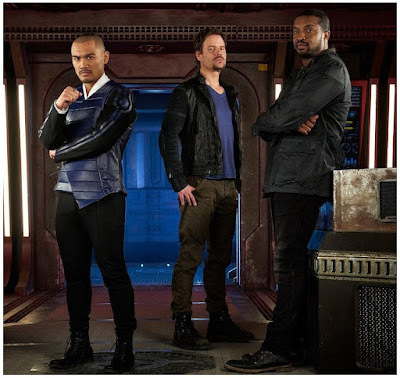 Following the second season finale that saw the crew of The Raza spaceship scattered and presumed dead after a huge explosion at a space station where they were investigating an intergalactic peace summit sabotage (and some of them even trying to start one), DARK MATTER’s third season opens a compelling new chapter of the spellbinding series! As you can see from the trailer below they are obviously all alive, escaping the clutches of death for who knows which time exactly now. 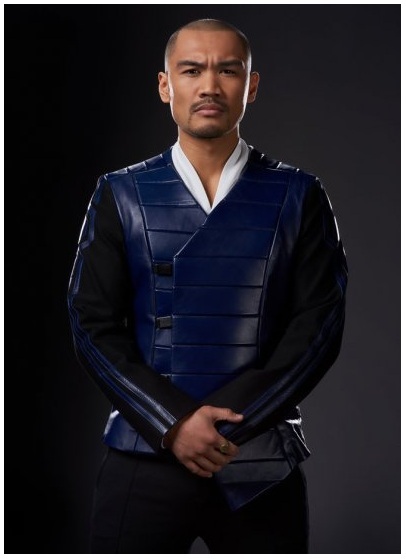 What we do know is that the galactic corporations are very ready for an all out war after the attack on their summit and that now they have a crowned Zairon emperor among them. Will that make them behave more classy? Will their android develop its human side even more? We shall wait and see. The original cast that plays the crew (of a derelict spaceship that was awakened from stasis with no memories of who they were or how they got on board, only to then face threats at every turn - and the realization that they were wanted criminals pre-amnesia - which forced them to work together to survive a voyage charged with vengeance, betrayal and hidden secrets) returns again lead by Melissa O’Neil, Anthony Lemke, Alex Mallari Jr. and Jodelle Ferland with Roger Cross and Zoie Palmer. 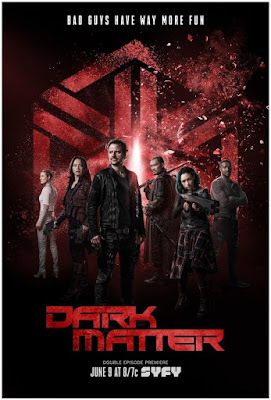 They are now joined by Ayisha Issa as Solara Shockley, Mishka Thébaud as Adrian and Andrew Moodie as Teku. 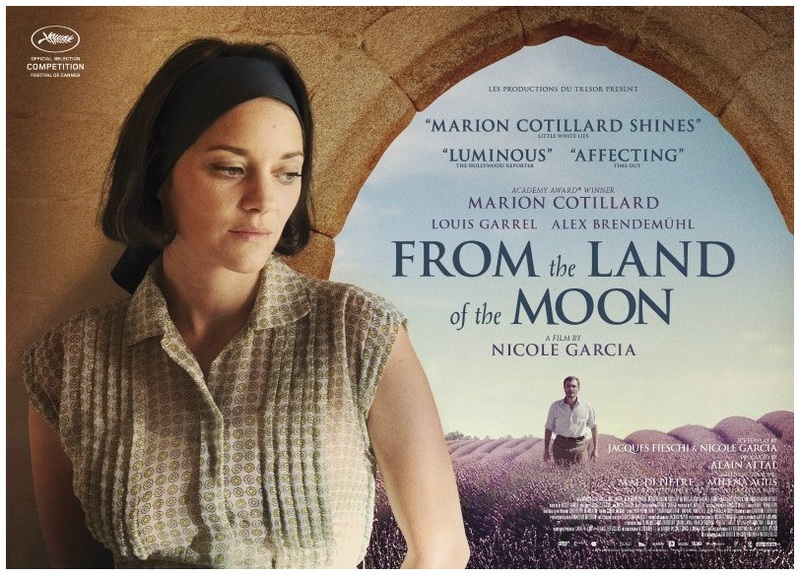 We are having a French menu for the end of the working week, first up the new movie from Marion Cotillard FROM THE LAND OF THE MOON which has just got its first posters and trailer! 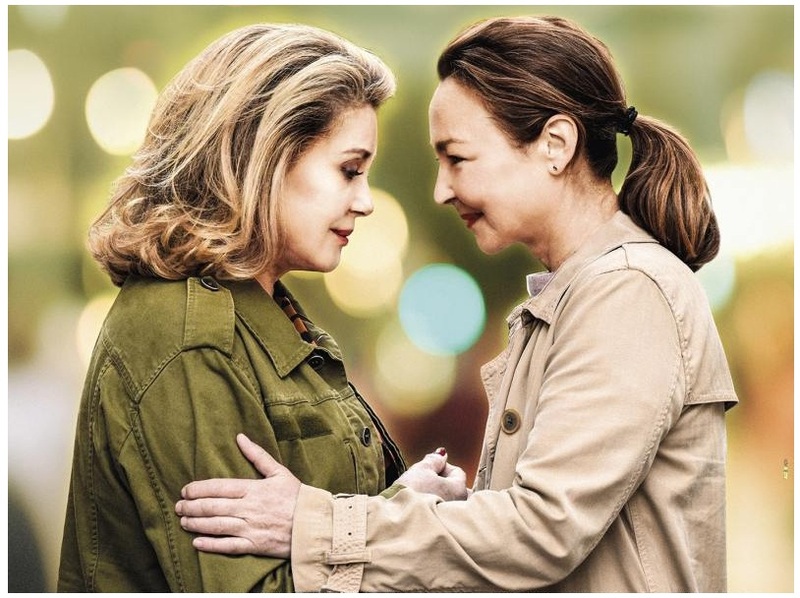 To be released in France at the end of July, this romantic drama is a big screen adaptation of a novel by Milena Agus. 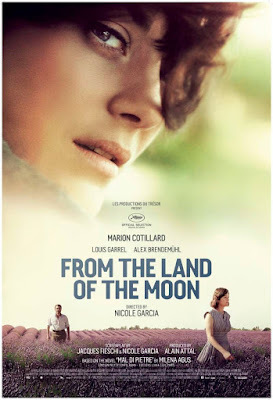 FROM THE LAND OF THE MOON has its story set in 1950s post war France, following Gabrielle (Marion Cotillard) from a small village in the South of France, at a time when her dream of true love is considered scandalous, and even a sign of insanity. Her parents marry her to José (Alex Brendemühl), an honest and loving Spanish farm worker who they think will make a respectable woman of her. Despite José's devotion to her, Gabrielle vows that she will never love José and lives like a prisoner bound by the constraints of conventional post-World War II society until the day she is sent away to a cure in the Alps to heal her kidney stones. There she meets André Sauvage (Louis Garrel), a dashing injured veteran of the Indochinese War, who rekindles the passion buried inside her. She promises they will run away together, and André seems to share her desire. Will anyone dare rob her of her right to follow her dreams? 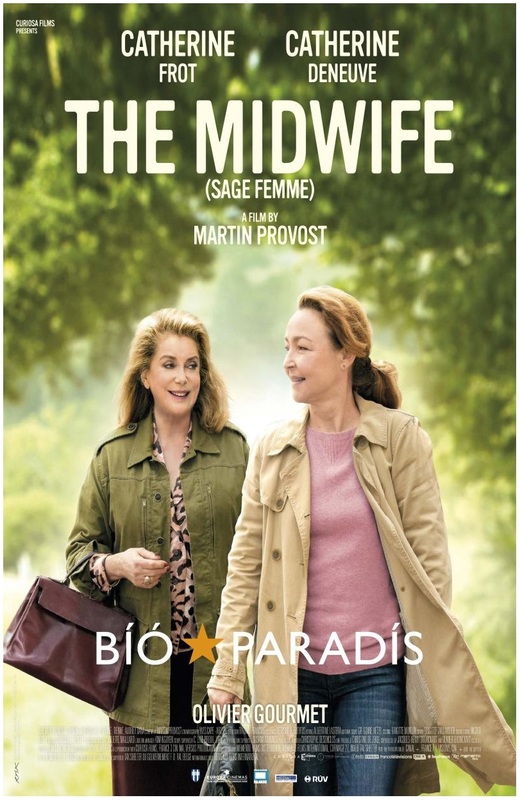 Opening the very same week is new drama from Catherine Deneuve THE MIDWIFE! Claire (Catherine Frot) is a midwife in a maternity hospital. Humane and helpful she gives herself entirely to her patients. But her life is not a bed of roses for all that. Her maternity is about to close its doors and the devoted woman is determined not to work in the new modern hospital she regards as a "baby factory". Her personal life is no triumph either: she is single and does not make friends easily. To make matters worse, her student son Simon is gradually leaving home, as he is developing a relationship with his new sweetheart. It is the moment that chooses Béatrice, her dead father's former mistress, to resurface. The eccentric, spendthrift, sensual, amoral woman (her exact opposite in fact) is really the last kind of person she needs to mix with. But Béatrice soon informs her that the suffers from brain cancer and she has nobody else to turn to. Torn between rejection and duty, what is Claire going to do? Two new period set series of epic proportions today! 'Deadline' reports that Amazon will be the latest to try and put legendary Egyptian queen CLEOPATRA on the small screens as they have put into development a series with Black Sails team. 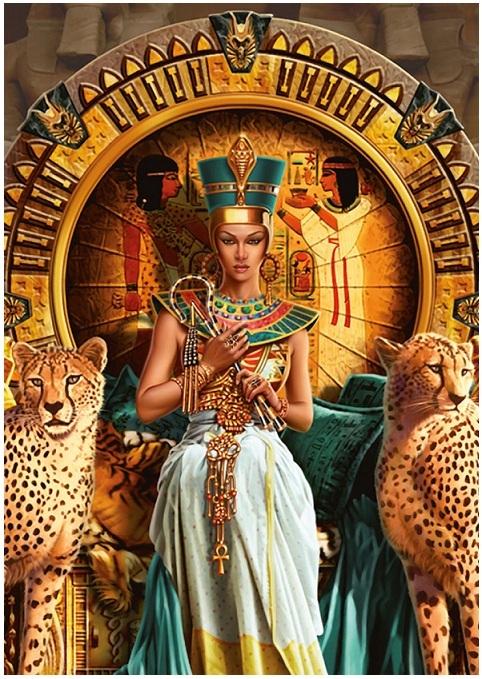 Written by Robert Levine, it is described as a revisionist take on one of history’s most misunderstood women, The Godfather in Ancient Egypt. After nearly losing her life in a bloody coup, Cleopatra must use her natural wit and political genius to take back her throne and restore honour to her family and kingdom. None of the Cleopatra projects, both TV and the movie ones, we've announced in recent years, has reached the production stage, sadly. After we fell in love last season with Medici: Masters of Florence (which starts shooting its second season this September but without Richard Madden), we might be getting new English language period set series produced in Italy as Indiana Production is looking to turn Giuseppe Tomasi di Lampedusa's novel THE LEOPARD into mini series. They're currently searching for partners in Cannes for a rich and lavish epic series that chronicles the changes in Sicilian life and society during the 19th century unification of Italy known as the Risorgimento. 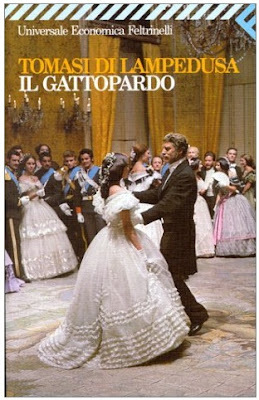 Translated into more than 40 languages, it was turned into a classic movie with Claudia Cardinale, Alain Delon and Burt Lancaster, which was so lavishly opulent that it got an Oscar nomination for costume design. BBC America is to produce a small screen adaptation of Mary Beth Keane's novel FEVER into a period set mini series starring Elisabeth Moss! It tells the story of the first known healthy carrier of typhoid fever who became known as “Typhoid Mary” as she spread typhoid across the burgeoning metropolis of early twentieth century New York. Typhoid Mary was an immigrant in turn of the century New York, she was stubborn and in fierce denial of any wrongdoing until her death where she lived out her days imprisoned on an island just off of the Bronx! She carried typhoid in herself spreading the deadly disease around her since she worked as a cook, but she was herself immune to it. She was forcibly isolated a few times, and in the end spent over three decades locked up. In every new family and kitchen she worked in as a cook outbreaks of typhoid would follow. She directly killed three people and contaminated more than 20. Staying to the grim genre today, Amazon has, meanwhile, found their lead star for new horror fantasy anthology series LORE. Former UFC fighter Cathal Pendred will lead the series which recounts true stories of frightening and paranormal occurrences. As 'Deadline' reports, he will play Michael Cleary, a real-life character from Irish folklore in the horror anthology series. A cooper who makes barrels for a local creamery, Michael is married to the younger Bridget. When Bridget starts making more money than he does, and starts questioning his decisions, Michael is convinced that his loving wife has been replaced by a changeling — and he will do anything to prove himself right. New roles for our fave British boys today, beginning with our dearest Colin Morgan who is, after Merlin, Humans and The Living and the Dead series, moving over to the big screen in WAITING FOR YOU in which he stars next to Fanny Ardant! The story revolves around Paul (Colin Morgan) whose father lies dying, delirious and in pain, hinting at something he lost, something taken from him by his former commanding officer in the British Army. After he passes away, the angry and grieving Paul heads to the South of France where he meets the mysterious Madeleine (Fanny Ardant) and unearths an extra ordinary secret that has lain hidden for several decades. The movie has already played on some of the European festivals. Colin is also set to star in THE HAPPY PRINCE Oscar Wilde biopic next to Colin Firth, Emily Watson, Miranda Richardson, Rupert Everett and Tom Wilkinson. 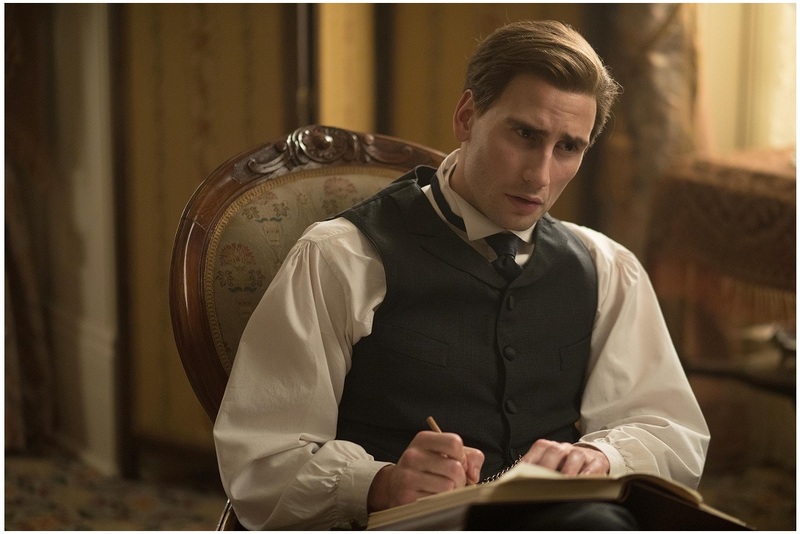 He will play writer Alfred Douglas who was Wilde's lover. In a totally opposite move, after a rather unsuccessful movie career after his Harry Plopper gig, Daniel Radcliffe is transferring over to the small screens! TBS has ordered MIRACLE WORKERS comedy series with Owen Wilson. With seven episodes planned for next year, MIRACLE WORKERS, as 'Deadline' reports, will be a heaven set workplace comedy based on Simon Rich’s book What in God’s Name. Daniel Radcliffe will play Craig, a low level angel responsible for handling all of humanity’s prayers, and Owen Wilson will play Craig’s boss, God, who has pretty much checked out to focus on his favorite hobbies. To prevent Earth’s destruction, Craig must achieve his most impossible miracle to date. Period set news for you this Monday, people, starting with the first clip from the second season of VICTORIA epic series released today to celebrate Victoria's Day. 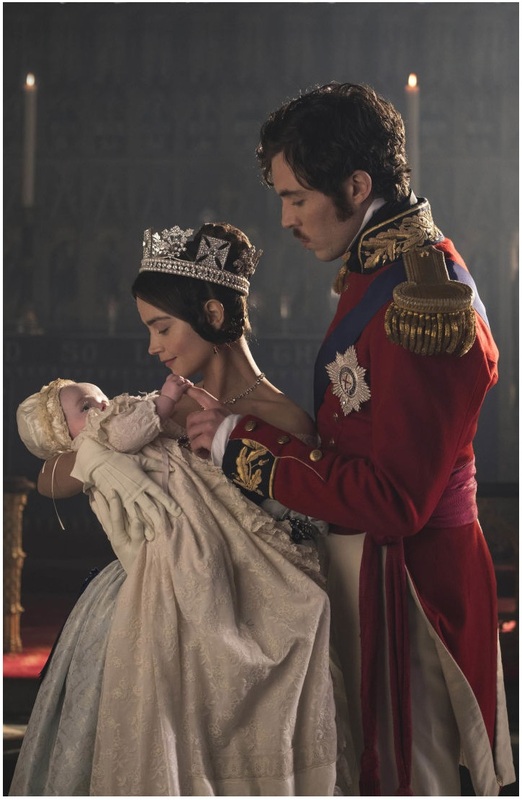 It shows a scene from the christening of Victoria's (Jenna Coleman) and prince Albert's (Tom Hughes) first child that was born at the end of the first season. The second season will see her expand her family with new babies (she had nine kids in total) while trying to balance family life with her royal duties in mid 1800's. Prince Albert is, meanwhile, still struggling to find a suitable role for himself in their marriage and in the kingdom. VICTORIA will also face the Irish potato blight of 1845, where more than a million people died and people hated her calling her the famine queen cause she donated just 2000 pounds. 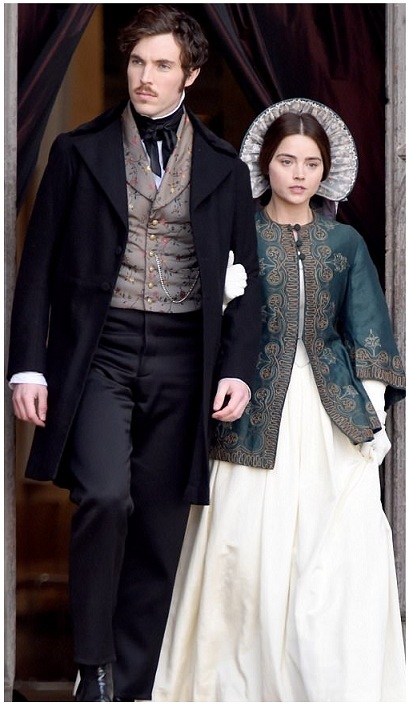 When it returns this Autumn, with eight episodes plus a two hour Christmas special, VICTORIA will also have some new actors in the cast, Diana Rigg as the new Duchess at court and Victoria's new Mistress of the Robes and Martin Compston to name two. David Oakes returns as everybody's favourite charmer Prince Earnest, Albert's brother. 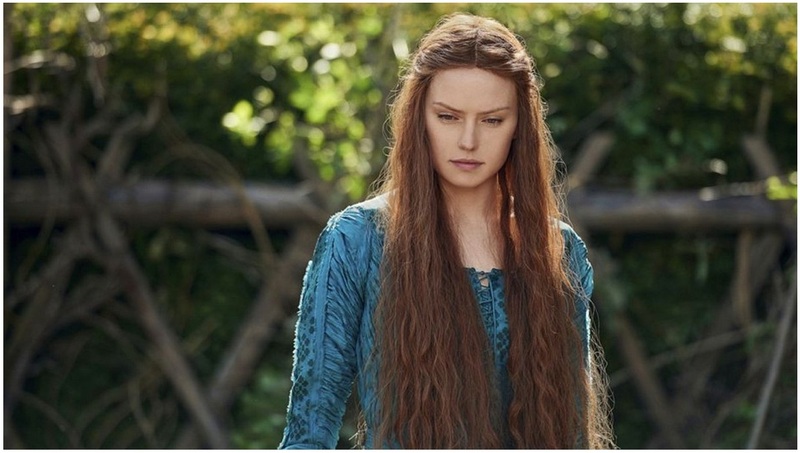 The first photo, of Daisy Ridley in the title role, has been published for OPHELIA movie, which, set in the 14th century but spoken in a contemporary voice, is a dynamic re-imagining of the Shakespeare’s tragedy that tells the untold story of her tragic romance with the prince. She is the Queen’s (Naomi Watts) most trusted lady-in-waiting. Beautiful and intelligent, she soon captures the attention of the handsome Prince Hamlet (George MacKay) and a forbidden love blossoms. Clive Owen is Claudius, Tom Felton is Laertes and Devon Terrell Horatio. PREMIUM SPOTLIGHT ON 'WONDER WOMAN' WITH GAL GADOT AND CHRIS PINE! ALL YOU NEED TO KNOW BEFORE THE JUNE PREMIERE! 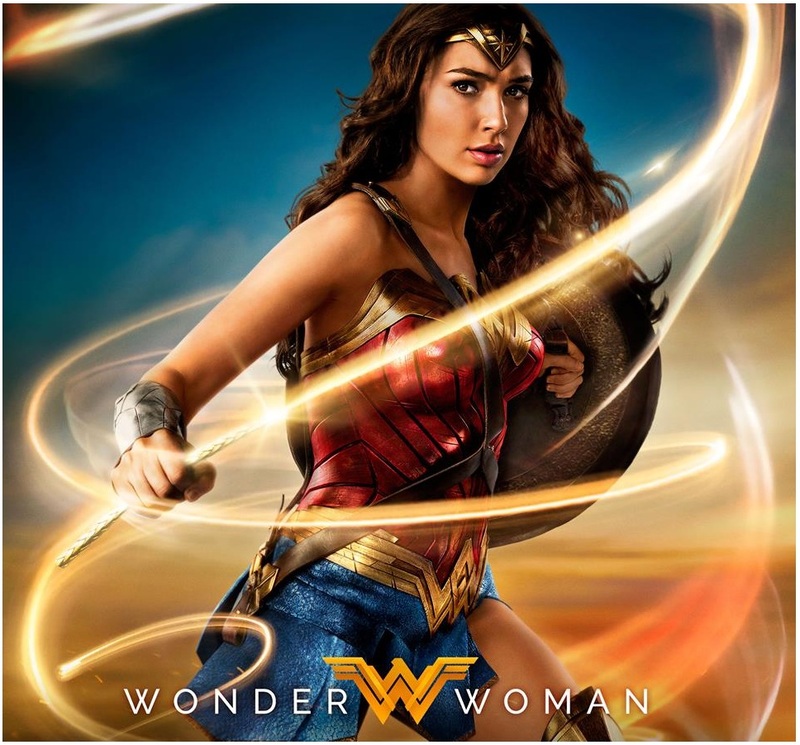 Just two more weeks before cinemas around the world open their doors and screens for the first solo movie outing of legendary WONDER WOMAN and today we'll feed you with everything you need to know about the film before you rush to the theatres! 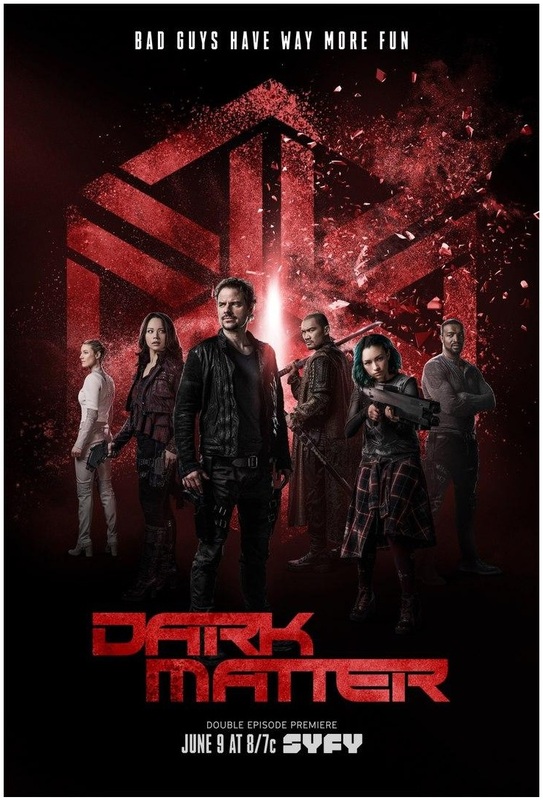 First reviews and impressions have been over whelmingly positive, calling the movie absolutely stunning, brilliant and amazing, funny and massively entertaining! 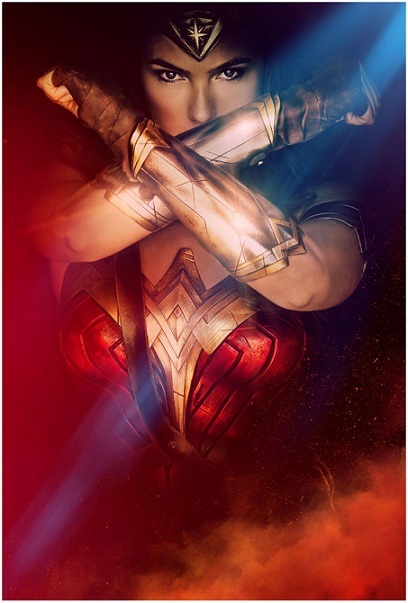 The predictions for the opening weekend earnings range from $80 to well over $100 million and it remains to be seen what success WONDER WOMAN will score given the rather modest marketing she got from the studio compared to their other superhero flicks. 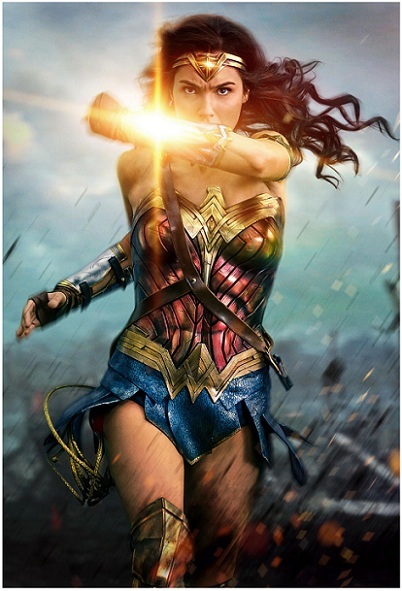 Diana, princess of the Amazons, played by Gal Gadot, was raised on a sheltered island and trained to be an unconquerable fighter. 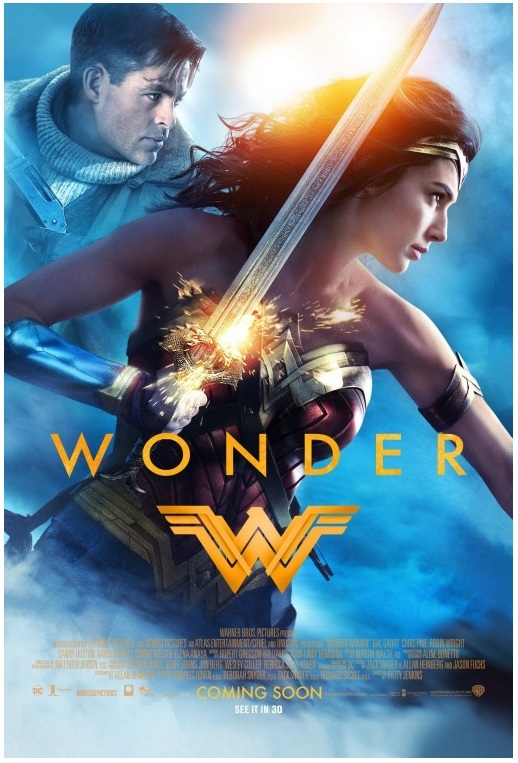 After an American pilot Steve Trevor (played by Chris Pine) crashes on the island and tells her about a massive conflict raging in the outside world, Diana leaves her home to try to stop the war convinced she can stop the threat. 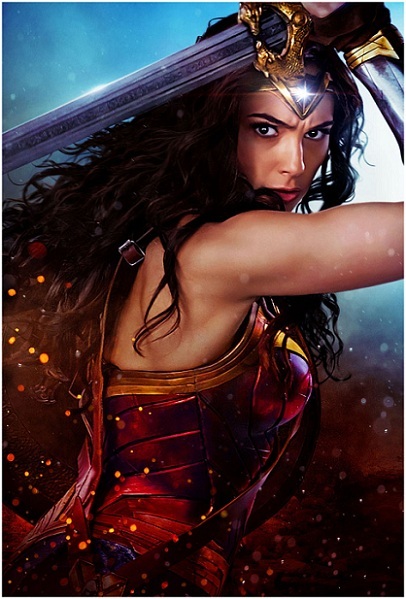 Fighting alongside man in a war to end all wars, Diana will discover her full powers... and her true destiny! 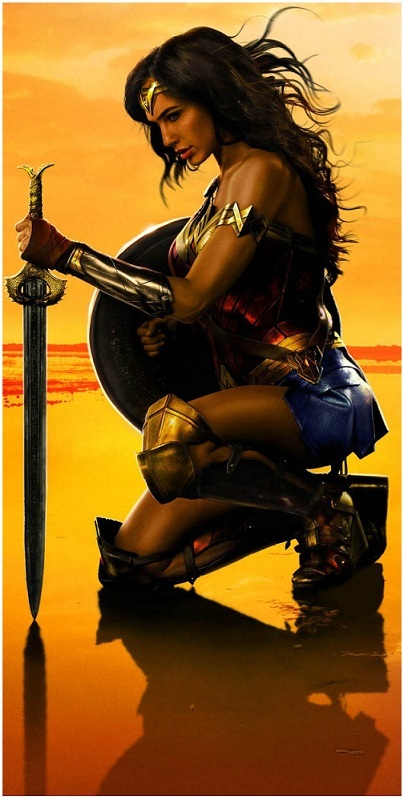 As you know Connie Nielsen will be her mother, Amazonian Queen Hippolita, a revolutionary leader, who struggles to shelter her only daughter from the outside world. Robin Wright is Diana's aunt Antiope, who trains Wonder Woman to fight preparing her to deal with that world. Lisa Loven Kongsli is Antiope's lieutenant, Menalippe! 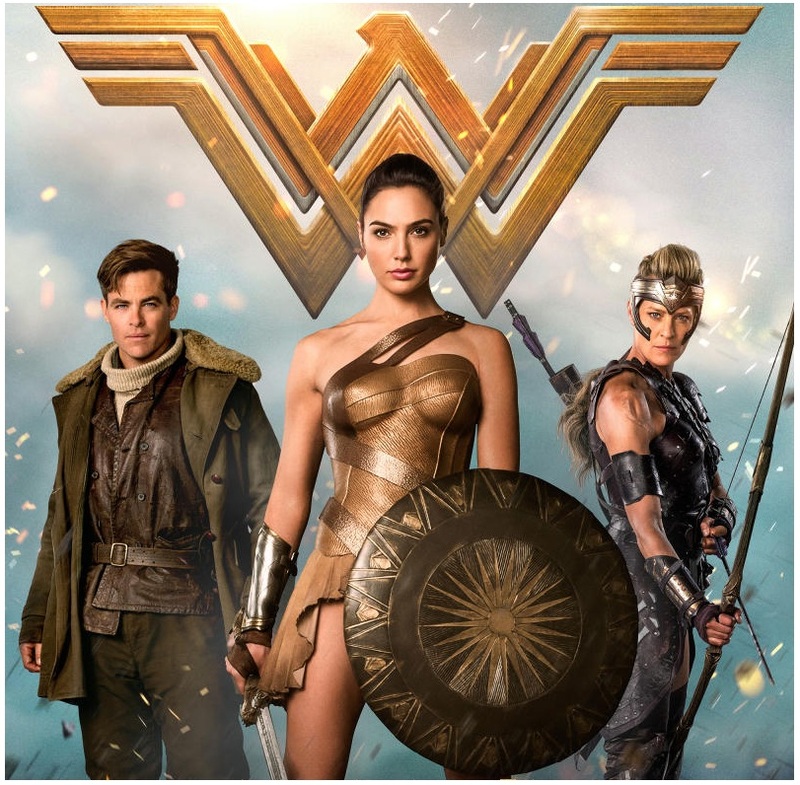 This trio of immortals is responsible for both raising and training Diana, the only child born on the mythical isle, but they don’t always agree! Diana's love interest Steve Trevor is played by Chris Pine, he is captain from the United States Army Air Service, roguish, cynical realist who's seen the awful brutish nature of modern civilization, but he is a worldly, charming guy! Danny Huston plays General Erich Ludendorff, an ambitious and iron fisted general of the German Army during World War I, while David Thewlis is Ares: The treacherous son of Zeus (who is also Diana's father) and god of War, who masquerades as Sir Patrick Morgan an advocate for peace on the war council, but seeks to destroy humanity. Elena Anaya is Doctor Maru or Doctor Poison: A mad scientist who is associated with General Ludendorff and specializes in chemistry such as poisons. Lucy Davis plays Etta Candy, Steve Trevor's comical but loyal and friendly secretary who befriends Diana. Ewen Bremner is Charlie: A heavy-drinking sharpshooter, who’s already had a tour of duty and has post-traumatic stress disorder, an ally of Steve Trevor. 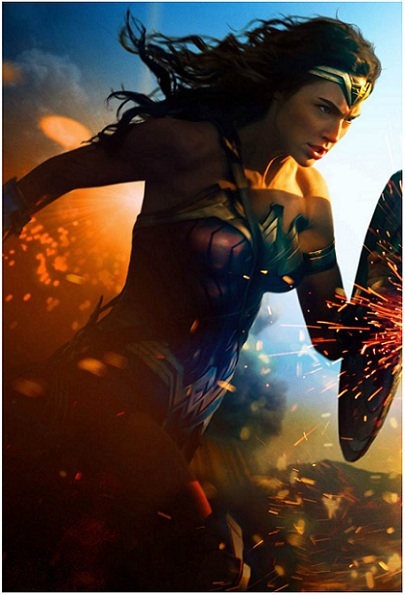 After she finishes her solo adventure this June, Diana of Themyscira will also lead the cast later this November in DC's JUSTICE LEAGUE movie! The movie will have three settings with the second part of the movie set in War World One London, and the third part in modern days. 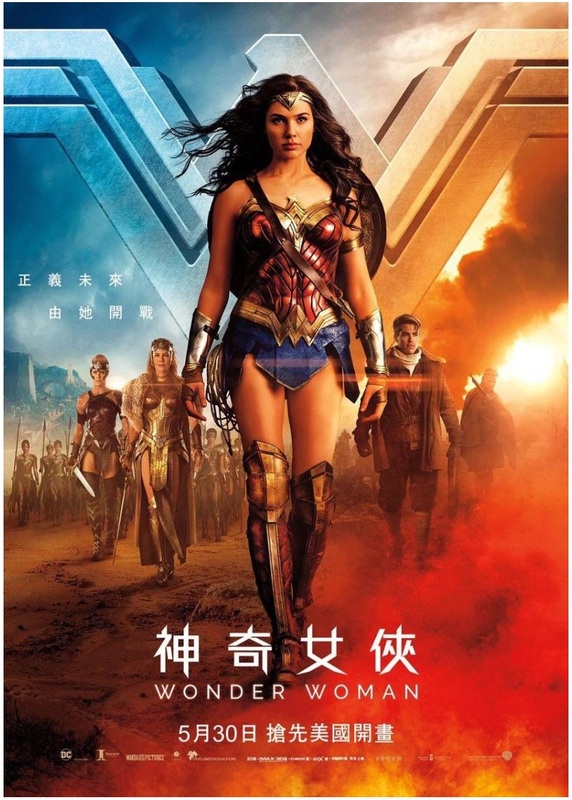 Before Gal Gadot got the role, Élodie Yung and Olga Kurylenko have also auditioned! 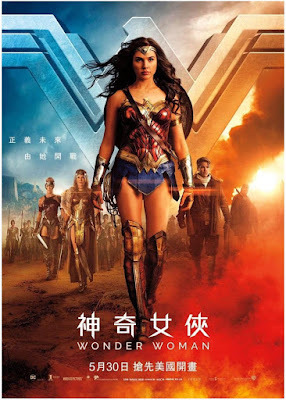 Gorgeous super model Doutzen Kroes will appear in the movie as the Amazon Venelia while writer and director Zack Snyder has a cameo as a WW1 soldier! Pop star Sia will sing the lead song for the movie To Be Human! The soundatrack will also have Sia's solo's version of I Forgive You, an epic ballad she sung last year with French star Maitre Jims titled Je Te Pardonne and you can hear it above. 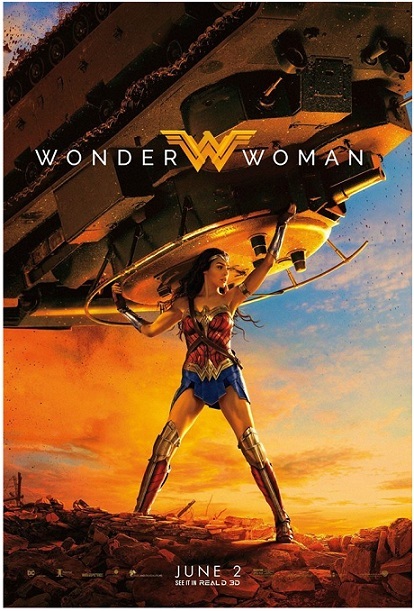 Director Patty Jenkins has announced a possibility of a sequel! While some of you are enjoying the new television version of The Handmaid's Tale, another of Margaret Atwood's small screen adaptations ALIAS GRACE has just got the first trailer and first photos for the mini series that will launch September 25th at Netflix and CBC in Canada. 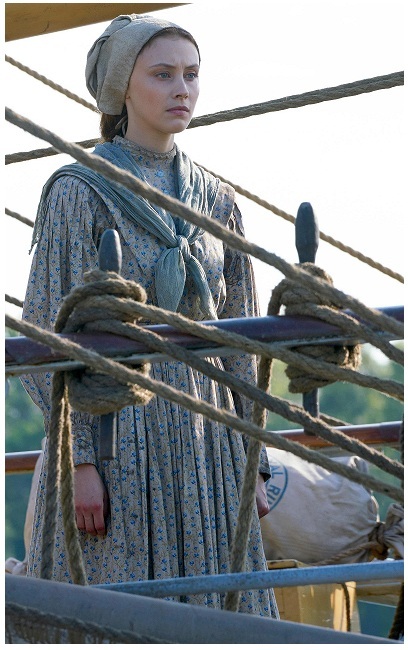 The six part mini series follows Grace Marks (Sarah Gadon) a poor, young Irish immigrant and domestic servant in Upper Canada who, along with stable hand James McDermott (Kerr Logan), was convicted of the brutal murders of their employer and his housekeeper in 1843. James was hanged while Grace was sentenced to life imprisonment in 1843. Grace claimed to have had no memory of the murder yet the facts were irrefutable. A decade after, Dr. Simon Jordan tried to help Grace recall her past. Grace was one of the most enigmatic and notorious women of her time for her supposed role in the sensational double murder, but was eventually exonerated after 30 years in jail. Her conviction was controversial and sparked much debate about whether Grace was actually involved in the murder or merely an unwitting accessory. Zachary Levi is also in the cast alongside Reign's Michael Therriault and Edward Holcroft as the doctor! Atwood has a cameo in the series! 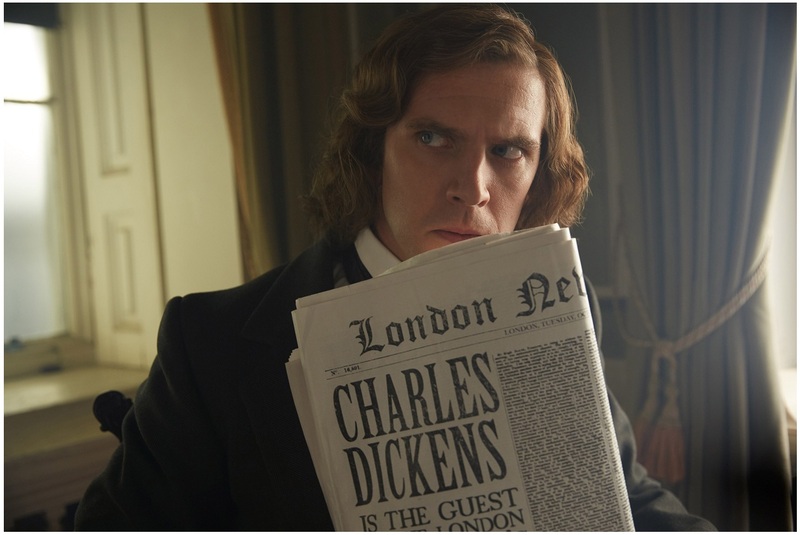 There are also the first pictures from another period set project, this time a movie starring Dan Stevens as Charles Dickens! THE MAN WHO INVENTED CHRISTMAS also stars Christopher Plummer as “Scrooge” and Jonathan Pryce as Dickens’ father. October 1843. Charles Dickens was broke and distressed. Despite early success, his last three books had failed. Rejected by his publishers, he set out to write and self-publish a book he hoped would keep his family afloat. This is the story of the six fever-pitched weeks in which Dickens created A Christmas Carol, the masterpiece that changed the holiday into the merry family event we know today.